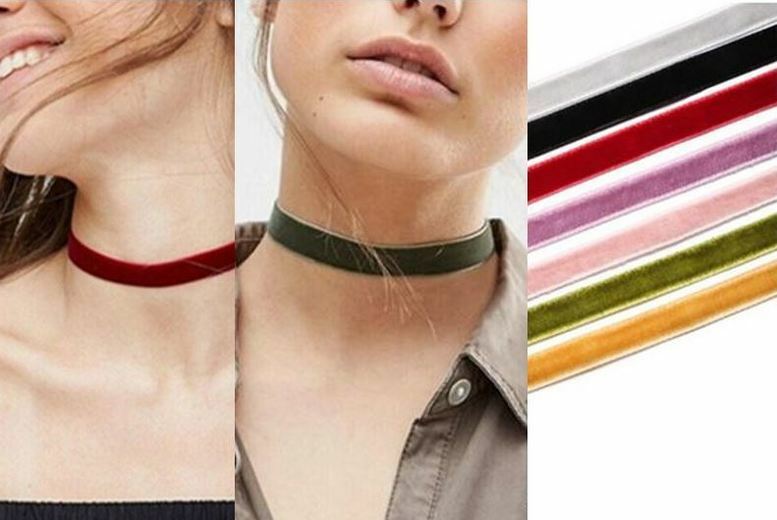 Get a set of seven chokers. In a classy velvet material. With seven different colours so you can match any outfit! And a gold-coloured lobster claw fastener.